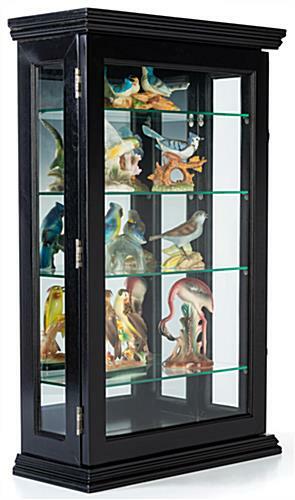 This small wood curio cabinet is the perfect display case for your collectibles, treasured mementos or prized possessions. 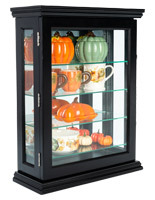 Use the included hardware for wall mounted placement or choose to use on a countertop. 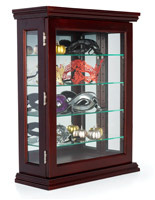 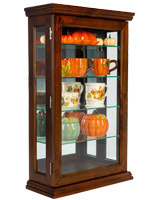 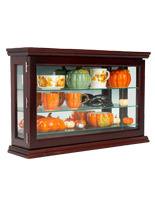 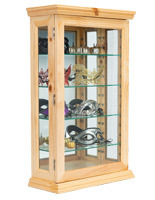 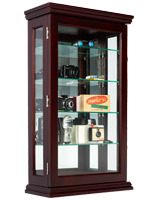 Four adjustable glass shelves sit within the wood curio cabinet and allow plenty of space for showcasing collectibles. 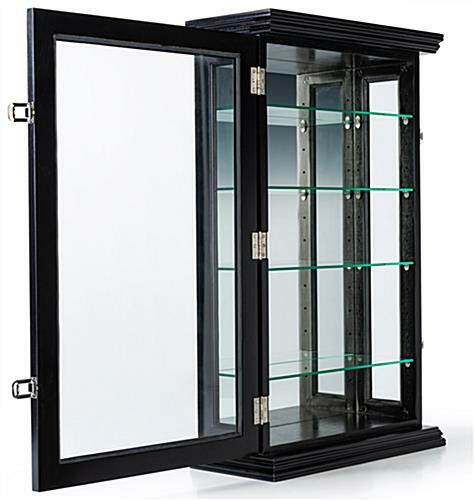 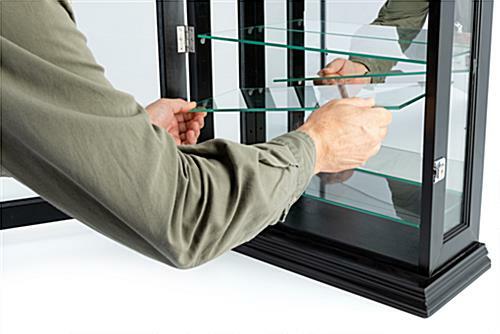 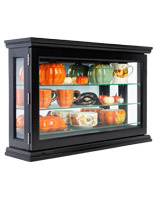 The 20.5”w x 33”h display case with black finish features a locking door to keep your prized possessions secure. 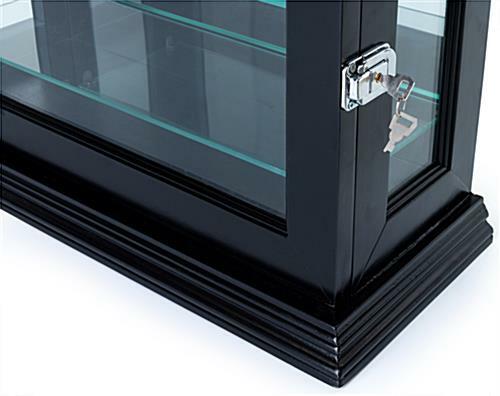 Z-bars and anchors are included for wall mounted placement. 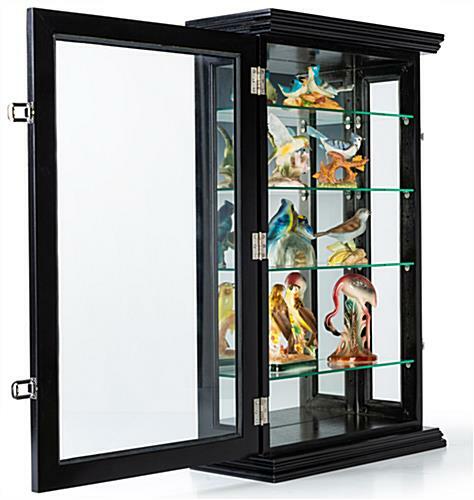 Complete with adjustable glass shelves and a modern black finish, this curio cabinet is a great solution for showcasing collectibles and prized possessions in your home or business. 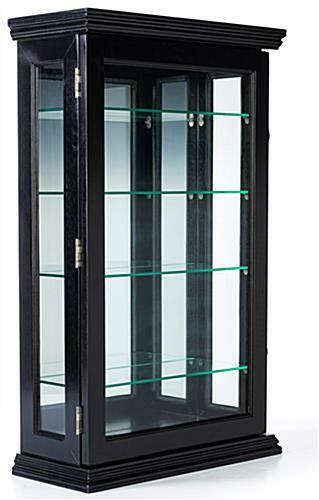 20.5" x 33.3" x 8.8"